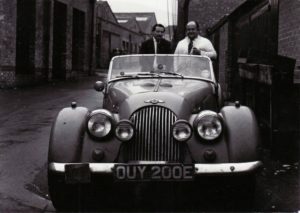 This category is used to post interesting articles and news reports that have some relation to Morgans or the hobby. If you have a news item that should be shared, send us a note at mogsouth@yahoo.com. Festivities kick off on Saturday at the Malvern factory with live music from the UK’s most authentic soul band, Soul Traffic, who will be playing the biggest and best soul numbers from the 60s. The Rockabellas will also be serving up a mix of swinging big band hits from the bygone years and bespoke arrangements of modern pop songs. The entertainment extends beyond Morgan motoring with pampering beauty treatments, classic barber service offering men’s grooming and traditional fairground rides for all. There will be delicious artisan food, the opportunity to earn some specialised crafts and even the opportunity to witness craftsmanship firsthand with a guided tour through the Morgan factory. A huge firework display will conclude the first day with a bang. On Sunday, the action continues over at Prescott Hill Climb where visitors will be treated to a day of motorsport as 100s of Morgans take to the famous hill. Visitors will have the option to power around the course in their own Morgan or jump in the passenger seat of a factory car via pre-bookable timed runs. The lunchtime parade is an event highlight not to be missed as an entire squadron of Morgan machines take to the track for a full display before Richard Goodwin performs airplane stunts in his Pitts S2S muscle bi-plane. After the excitement and success of last year’s inaugural Pickersleigh 3 run, Morgan are proud to be running it again. On Sunday 12th August the drive out of 3 Wheelers new and old will set off from the factory in Malvern, making the journey to awaiting crowds at Prescott Hill Climb. The Pickersleigh 3 is open to anyone with a Morgan 3 Wheeler and a valid Sunday ticket for Thrill on the Hill. Steve Morris Managing Director of Morgan Motor Company, said: “We’re excited to announce the return of Thrill on the Hill for 2018. Our annual Summer events have continued to prove popular among owners and enthusiasts alike, and we expect this year to be better than ever as we welcome visitors from around the world to celebrate 50 years of the Morgan Plus 8. I’m particularly excited that we are able to bring OUY 200E, the very first Plus 8, back to the UK from the USA specifically for the event. [This is mostly a technical discussion about advanced manufacturing processes necessitated by the challenges faces with joining dissimilar metals, like those used by the MMC. For those of you that want the ‘CliffsNotes’ version the good news is that the Morgan Motor Company is now working with others, paid for by UK grants, on ways to improve joining dissimilar alloys, resulting in weight saving, strength gains and ultimately lower costs. All good stuff! Established in 1909, The Morgan Motor Company produces the longest-running production car in the world, the Morgan 4/4, which has been in production since 1936. Famous for their heritage, the British manufacturer is rightly proud of their history of hand-built sports cars, but that doesn’t mean that they haven’t kept up with the times. Morgan collaborated with TWI in an Innovate UK project to further optimise the structural design of their vehicles, while reducing manufacturing costs. Car manufacturers are being challenged by progressively stricter emission regulations and an overall demand for higher fuel efficiency. One of the most immediate ways to achieve this is to decrease the weight of the vehicles by using lighter materials and optimising the structure of the car body. A smarter use of materials often means lowering raw material and assembly costs, especially when several parts can be consolidated to form an integral piece. Lightening a car may also improve handling, which is paramount to a sports car manufacturer such as Morgan. Car bodies are made predominantly of stamped sheet metal. One of the solutions for maximising the structural performance of stamped parts is a tailor welded blank fabrication. Dissimilar materials can be joined in the same blank prior to stamping, tailoring local properties like strength, ductility or corrosion resistance. Sheet thickness can also be tailored according to the expected load path, saving unnecessary material. Although steel laser welded blanks have been an established solution since the 90s, there has been a progressive integration of aluminium alloys in car bodies. However, aluminium tailor welded blanks are not as widely available in the market. Suppliers typically offer laser welded products in 5xxx or 6xxx series aluminium alloys. Using a fusion welding process to join aluminium blanks has inherent drawbacks like porosity formation (which can be minimised, but not completely avoided) and solidification cracking, especially when joining 6xxx. Solidification cracking in 6xxx series can be mitigated by using a filler material (typically from the 4xxx or 5xxx series), but will require a slower welding speed compared to autogenous welding, making this application less cost-effective. The alloy of the joint made with a filler wire has significantly inferior strength and formability. Using a filler will also cause what is known as an overfilled joint (i.e. a weld bead proud of the sheet surface). By standing proud of the sheet surface, an overfilled joint negatively affects the stamping operation making the joint more likely to split. Furthermore, aluminium laser welded joints often lack ductility, limiting the complexity of the stamped parts. Furthermore, there are no current offers in the market for supplying blanks in higher strength aluminium series, namely 2xxx and 7xxx. Funded by Innovate UK, project LightBlank’s aim was to develop and fully implement a UK-based supply chain to manufacture aluminium alloy friction stir tailor welded blanks formed by a new stamping process called Hot Form Quenching (HFQ). HFQ combines solution heat treatment, stamping, quenching and artificial ageing. Complex aluminium blanks can be stamped while restoring the parent material properties. Friction stir welding (FSW) avoids many of the problems associated with joining aluminium using traditional techniques. It can also promote superplastic behaviour of the joint, enabling more ambitious geometries to be stamped. The consortium included Impression Technologies Ltd, PAB Coventry Ltd, Imperial College of London, Bombardier Transportation, Bombardier Aerospace, Morgan Motor Company Manufacturing and TWI Ltd. The FSW-HFQ procedure developed was used to manufacture a prototype cross-member of the Morgan Aero 8 sports car. Replacing the main element of the cross-member with a FSW-HFQ blank reduced the weight of the assembly by 32%. Additionally, the new optimised design incorporated eight parts (instead of eleven), five of which can be pressed by HFQ in the same operation. 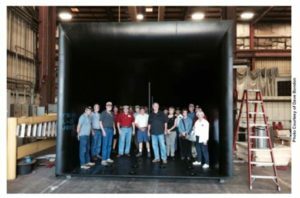 This contributed to a significant reduction of the manufacturing and assembly lead times. A preliminary economic assessment shows that cost of manufacturing the new assembly is 37% lower, assuming an annual batch of 1000 units. 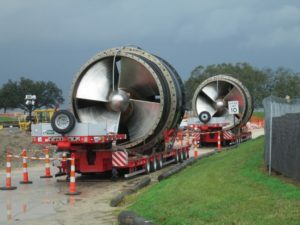 Upon the successful completion of this project, a prototype was placed on permanent display at TWI’s headquarters in Cambridge following an official unveiling attended by representatives from Morgan. A long-loved British sports car is finally returning to the US. 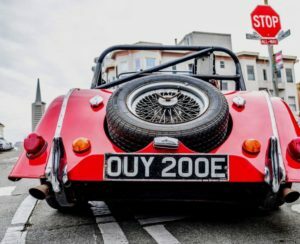 Morgan Motor Company, in response to U.S. Morgan dealers unfulfilled demand for 4 wheeled Morgans and also the disappointing lack of progress in implementing the Replica Car Bill, is now addressing the issue proactively. Last week Morgan Motor Company announced that they are prepared to manufacture a functional rolling chassis in both Roadster and Plus 4 variants, that can then be shipped to the US, using the specially constructed vehicle route to market. 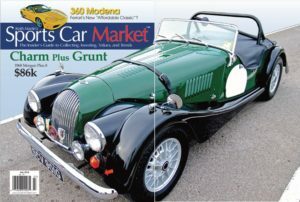 Upon hearing the news in San Francisco, Bill Fink of Morgan Cars USA was too jubilant at the prospect of new cars to dwell about the low number of vehicles. Immediately available models include the Morgan Plus 4 (base price MSRP $69,995) and the Roadster 3.7 (base price MSRP $79,995.) Freight, options, taxes, and fees are additional. With the suggestion that as few as 80 vehicles will be built to meet the demand, and factoring in the Morgan devotees on dealers’ wait lists, the available build dates will be filled quickly. Contact the authorized dealers (MOGSouth Supporters are listed here) to voice your interest and get any questions answered. Morgan’s Plus 4 chassis, strengthened and extended, formed the basis of the new car, while the existing Moss 4-speed gearbox was retained. After a successful debut at the 1968 London Motor Show, production commenced at about 15 cars per month and continues to this day, although they now have BMW power. 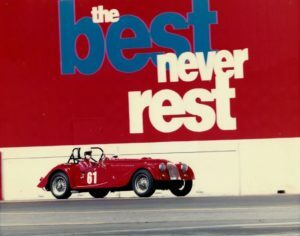 While the traditionally styled Morgan’s brick-like aerodynamics restricted top speed to around 125 mph (more than fast enough for most people driving an open car), the Rover V8’s 168 bhp and 210 ft-lb of torque made for supercar performance through the gears. Indeed, in its later 3.9-liter form, the Plus 8 proved quicker by 80 mph than the contemporary Porsche 911 Turbo. This all-matching-numbers early Morgan Plus 8 is the 22nd example of this landmark V8-engined model to leave the factory. Benefiting from a six-year, six-figure, ground-up restoration undertaken in the USA from renowned marque specialist and concours-winner the late Robert Couch, the car must be one of the best of its kind currently available. 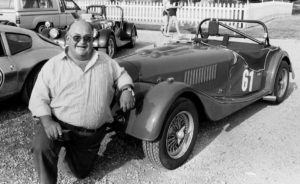 Robert Couch is famous as restorer of the historic Morgan TT Replica CAB 652, previously campaigned by Peter Morgan, which in 1980 was overall winner of the prestigious Chinetti Concours at Lime Rock. Carried on a new chassis, the aluminum body benefits from an all-new timber framework. Restored for Morgan’s 75th anniversary, although it did not make it to the U.K. for the celebrations, this Plus 8 comes with concours awards testifying to the quality of the restoration. Acquired from the estate of the late Stephen S. Lester, SCV 901G has been stored in a climate-controlled facility as part of an extensive private collection of vehicles where it has been looked upon as a work of art. The Morgan recently got an update that was done over two years. The work included a brand-new race engine installed by JE Developments, a recognized specialist in the preparation of Rover V8 engines. This engine breathes via SU carburetors to accommodate FIA regulations. 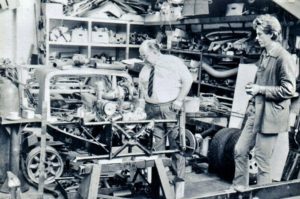 The other race engine built by Robert Couch had on tap a massive 288 bhp and 275 ft-lb of torque (documented) and is included in the sale. Despite its greatly enhanced performance, this car is said to cope equally easily with town driving or touring, and must be one of the quickest road-going first generation Plus 8s around. For a year of its time away, the Morgan was at Richard Thorne’s workshop being fitted with every new FIA update required for historic racing, hillclimbing, and rallying anywhere in the world (Period G1 1966–69, valid to December 31, 2026). All the work was bespoke in order to avoid drilling the body or dashboard to accommodate cut-off switches. The new FIA roll bars (front and rear) were custom made to ensure a perfect fit, while the side-impact bars were taken down below the door line to make getting in and out as easy as normal. All this was done at great expense in order to preserve Robert Couch’s original workmanship. Even the spare-wheel cover has no external screws securing it to the rear frame; it simply slides in from underneath, making it easy to remove in order to refit the rear bumper and spare wheel for rally events. The car comes complete with full weather equipment, spare wheel, boot rack and tonneau cover (made to fit the new roll bars). 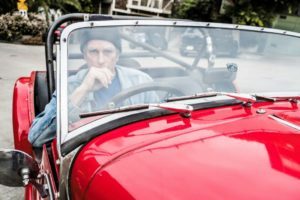 This well-documented car comes with its original restoration bills and is described as perfect for all uses. This car, Lot 64, sold for £61,980 ($86,390), including buyer’s premium, at Bonhams’ Goodwood Members’ Meeting sale near Chichester, U.K., on March 18, 2018. It was offered — but didn’t sell — at Bonhams’ pre-Christmas sale at Olympia, London, when the original Holley-carbed engine was displayed on a stand behind it, but it had better luck here. But here’s the thing: It’s got FIA papers, but it’s Period G1 (1966– 1969) while most prestige events run to Period F (pre-1966) or have an even earlier cut-off of pre-1963. As our subject car was built in 1968, circuit racing opportunities will not include such events as the Goodwood Revival. 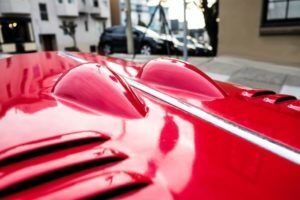 Perhaps its most obvious home is in the Historic Sports Car Club’s Historic Road Sports series, for road-legal cars manufactured up to 1970, with only mild modifications allowed. This series offers extra points for those cars driven to the races. This car can take part in tour/race competitions such as Tour Britannia and Tour Auto, and it would do well in events such as the Manx Classic — a three-legged hillclimb competition whose classic category has a 1968 cut-off date. A Moss-box Plus 8 (made up to mid-1972, when the Rover 4-speed was adopted) would usually sell for about £30k ($42k) [I guess this has to be UK prices. In my opinion, I would think a LHD Moss Box Plus 8, in the US, should be valued at $55-60K. Mark], perhaps a little more in this concours condition. John Eales of JE Developments is “the man” as far as the Rover/ Buick aluminum V8 is concerned, so the currently installed FIA-legal race motor, making about 250 bhp, is the best there is. These engines cost less than you’d think at £12k ($17k). The competition fuel cell, bespoke roll cage, Sparco harnesses and plumbed-in extinguisher probably cost up to $10k to add, but you never get your money back on “lifed” items like this, so technically this car’s value is something under $60k. At Olympia, you can see how the seller might have arrived at the $113k to $140k estimate by adding up everything spent, but it was unsold at a reported top bid of $93,642. The estimate for the second attempt, at Goodwood, was revised down to $85k to $100k. It hammered slightly behind that, but at a price approaching twice that of a standard early (narrow-bodied, as they got wider in tub and wings after 1976) road car. Interestingly, a similar car, chassis 7259, also rebuilt on a new chassis and ash frame and race prepared to the same specs with a John Eales motor, sold at Race Retro the month before for £57,380/$80,250, having previously been privately advertised for £69k ($96k). This car was not as cosmetically sharp as our subject car. As a 1970, that one becomes eligible for HSCC ’70s Road Sports, though it also qualifies for HRS, being the same type as “our” car. The car would be matching numbers if you reinstalled the spare engine, but there are several reasons why you wouldn’t. Eales inspected the spare engine and told me it’s an early (weak) block, almost standard except for a mild cam, that Holley carb and a different set of pistons. Eales said he’d be amazed if it made 230 bhp. That’s before a bolt got dropped into it, damaging a piston and one of the heads. Eales estimates its value as £500–£1,000 ($700–$1,400) tops, as with the casting damage it’s not even an ideal candidate for rebuild.